A portrait of William Hutchinson, a journalist and correspondent for the New York Times, Chicago Tribune, St. Louis Democrat and Washington Republic, he covered events in Kansas from 1855 through the early 1860s. He settled in Lawrence, Kansas Territory. 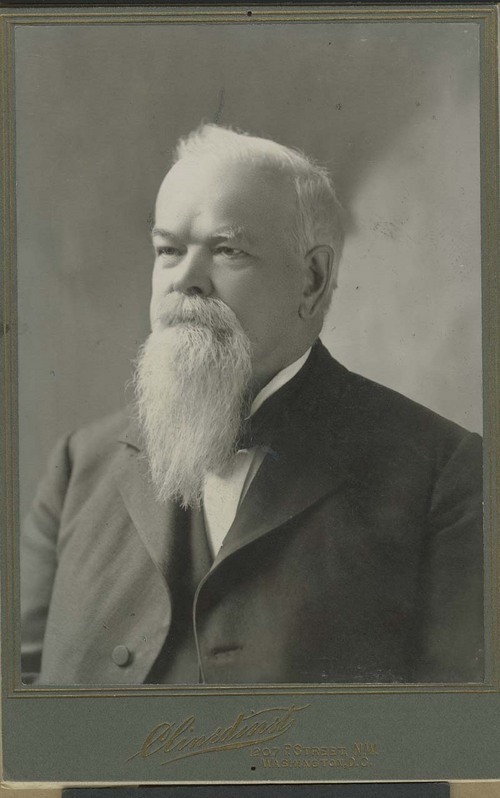 Hutchinson served as secretary of the Kansas Central Committee and assisted with efforts to send emigrant parties and relief to Kansas Territory. He was first identified with the abolition or free-soil party, until the Republican party organized. Hutchinson was a member of the Wyandotte Constitution Convention and was an early and persistent advocate of temperance and other reforms.